Anyone who has ever tried to build and design a professional-looking WordPress website on their own knows how difficult an undertaking that can be. At least without expert assistance. When WordPress themes came along, they were immensely helpful for WordPress users. And this wasn’t just for novice users. Professional web designers and agencies who wanted a solid design and well-coded base to start from could use WordPress themes to their advantage. That’s why it’s nice to see Pagely do a roundup of the top WordPress theme designers. While users can access information within the WordPress repository as well as theme marketplaces to determine which theme designers and, consequently, themes are best to use, it takes time to sift through it all. Pagely helps WordPress users cut through that noise with this list of the 20 best WordPress theme developers and designers. WordPress theme designers aren’t the only ones who need to be vetted though. For some WordPress users, a theme isn’t enough. They need the assistance of a professional designer to construct a WordPress website on their behalf. And it’s those WordPress designers we’re going to look at right now. Specifically, the 10 best WordPress designers working in 2018. I then narrowed my research down based on the quality of the designer’s website and samples, the awards won for their work in WordPress, their client lists, and their commitment to WordPress as a content management system. 10up is a digital agency that specializes in three areas: strategy, design, and engineering. With over 120 members on their team, there’s a lot 10up can do within those areas. 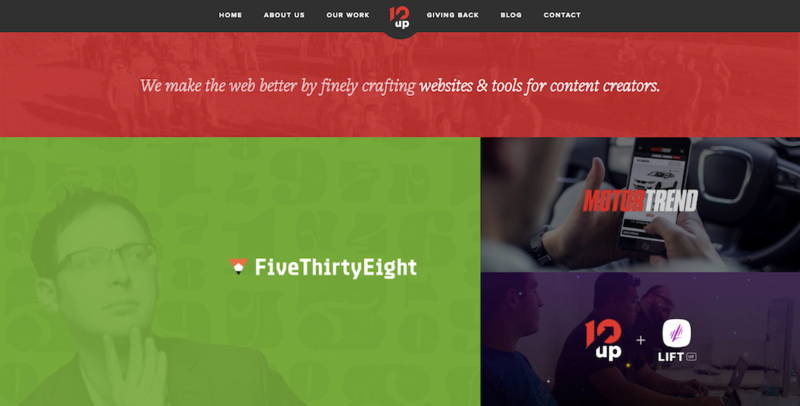 To start, they’ve designed a frontend component library for other WordPress users. 10up is also one of Pagely’s agency partners, so they really know their stuff when it comes to designing high-performance websites. Another WordPress VIP partner, Alley Interactive provides strategy, design, and development services to clients; specifically, in the areas of big brands, publishing, museums, and non-profits. 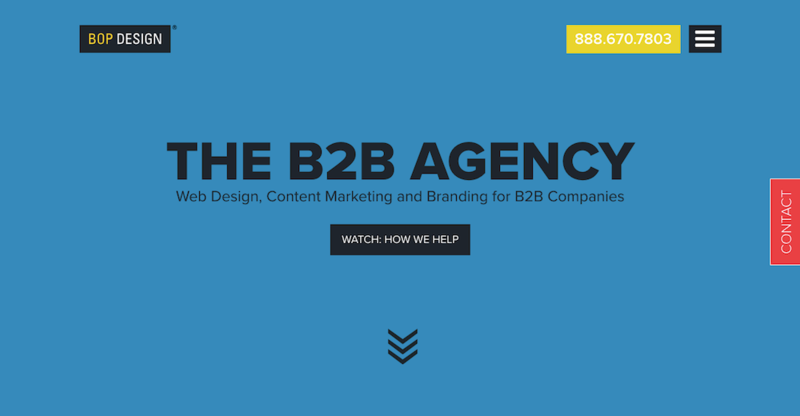 Their website is chock full of examples of high-traffic websites they helped take from “okay” to absolutely stunning through a system of user research, data analysis, site strategy, and more. Although this agency might not have the name-brand recognition that some other designers on this list do, they’re fully committed to WordPress web design and development. As they state on the website over and over again, WordPress is the most user-friendly CMS. So, not only do they want to provide clients with amazing websites, but they want to build them within a tool they can use on their own. I ran into this agency in my travels around the Awwwards website, where I discovered that this e-commerce expert has won 24 awards for their web design work. Although Build in Amsterdam doesn’t exclusively work in WordPress and WooCommerce, those are indeed the platforms they prefer to use when designing websites for clients. 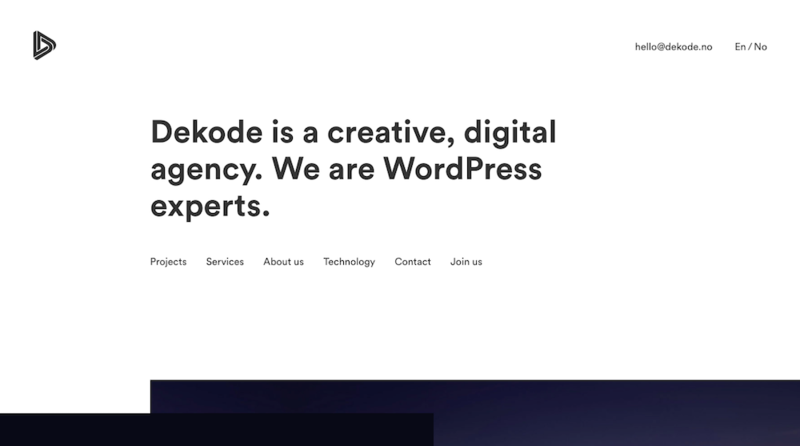 The team of developers and designers at Dekode aren’t just self-ascribed WordPress experts, they have WordPress’s VIP partner status to back it up. Because of their WordPress expertise, their service offering goes above and beyond traditional web design services, too. For companies that want a customly designed plugin, Dekode can do this as well. At first glance, you might just think Ironpaper was a digital marketing agency like any other. However, dig deeper into their services and you’ll quickly discover that WordPress powers everything they do for their website clients. And with their focus on helping businesses grow, it makes sense that they’d rely on WordPress to do that. Kristin Falkner might not have the name of an agency behind her, but her dedication to WordPress–everything from PSD conversion to the development of custom WordPress themes–makes her a web designer to take seriously. With clients like AT&T, Tom’s, Sony Music, and Kimberly Caldwell on her side, you can see how far this reputation has taken her in the enterprise world. Modern Tribe’s list of clients is vast and impressive, which includes the likes of MTV, Harvard Law School, Verizon, Holiday Inn, and SAP. With extensive experience building websites and software applications for Fortune 500 companies, Modern Tribe has certainly made a name for itself as an expert WordPress design agency to trust. WebDevStudios is a WordPress agency that builds end-to-end experiences for clients of all sizes, from the small startup to the booming enterprise (like Viacom, Microsoft, and Campbell’s, to name a few). They also handle the development and support piece of WordPress, giving clients not only the chance to work with a talented design team, but also one that’s fluent in performance and security. This Minnesota-based agency is my final entry to this list. 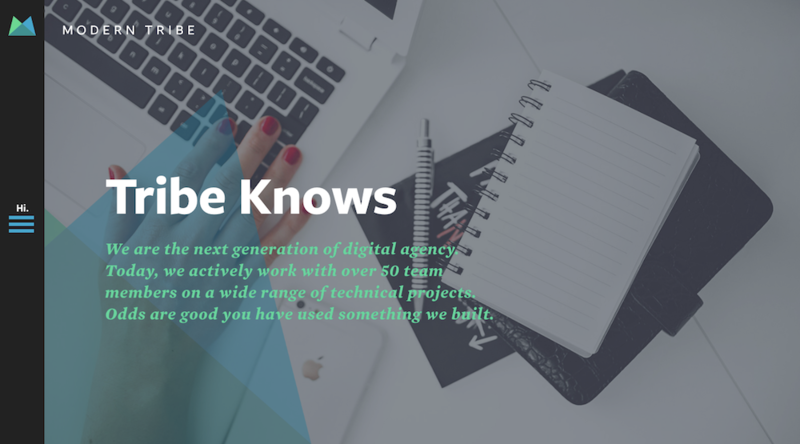 They’ve worked with big-name companies like Aveda, Whirlpool, and NASA, handling everything from enterprise WordPress development to custom design requests. WerkPress also actively partners with a number of WordPress theme and plugin developers in order to ensure the products they design are top-notch every time. Even if you’re not in the market to hire someone to design a WordPress site (because, perhaps, you are a WordPress designer), learning about who the best of the best are in 2018 can be helpful. The above 10 best WordPress designers have incredibly impressive portfolios and client rosters as well as a true commitment to using WordPress to design better websites. Draw on their experience and let it serve as motivation and inspiration in your own work.